Description: Dr. C. E. Smith, president of the Forrest County chapter of the NAACP, looks out a front window of his Breland Ave. (Hattiesburg, Miss.) 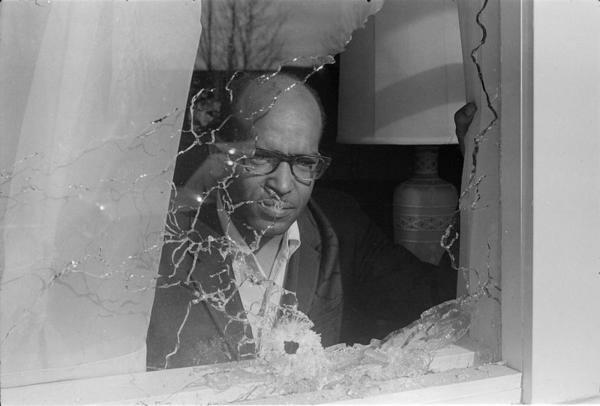 residence damaged by gunshots around 3:00 a.m. February 20, 1968. According to a Hattiesburg American story that day, the window "was broken by double-O slugs which then cut through a wall into the kitchen." Dr. Smith, his wife, and three children slept through the attack and were not injured.